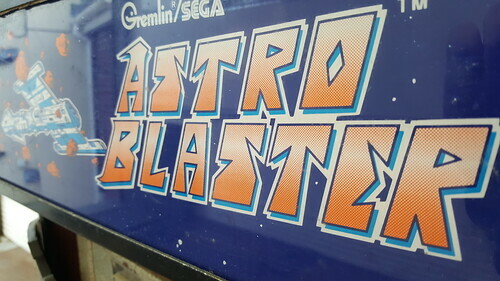 Growing up near Great Yarmouth, we really were spoilt when it came to the arcades. In addition to the awesome arcades down the seafront, we had arcades on holiday camps and in pubs. 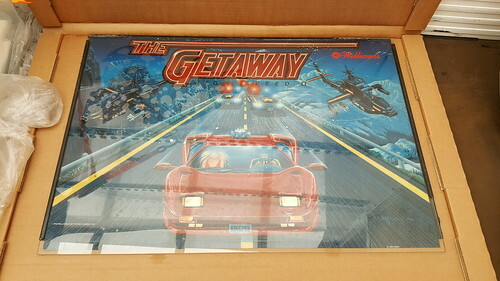 One holiday camp in the village where I lived even had an OutRun DLX! 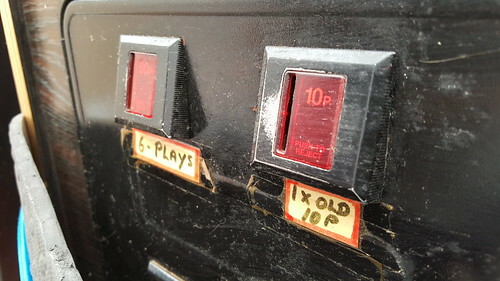 Back in the day, pub games rooms were fairly common. Adults would be in the bar whilst the kids would keep out of trouble in the games room. 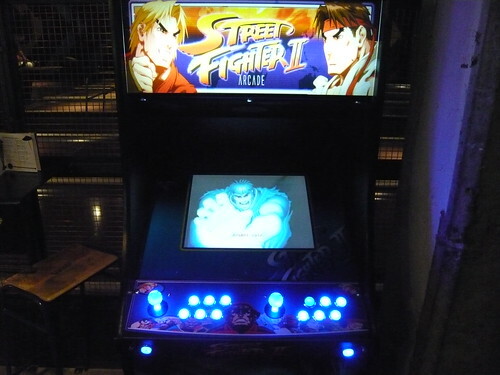 There was one pub within walking distance from my house with a cool games room. 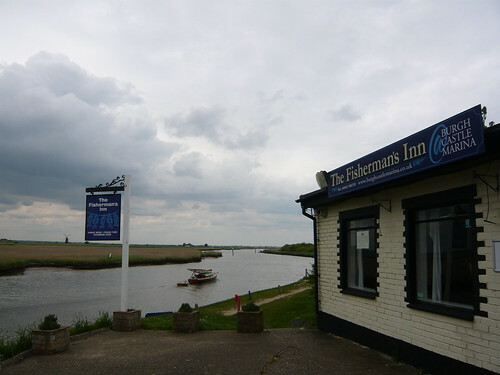 The pub was a short walk down a dirt track, across a field and along Breydon Water. 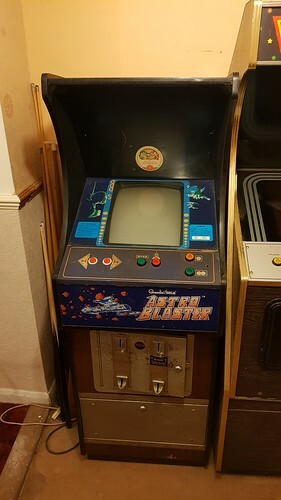 The pub was called ‘The Fisherman’s Inn’ and I remember going there after school and playing Cisco Heat, Shinobi, Street Fighter II’ and Toki, among others. After one summer, the pub was refurbished. 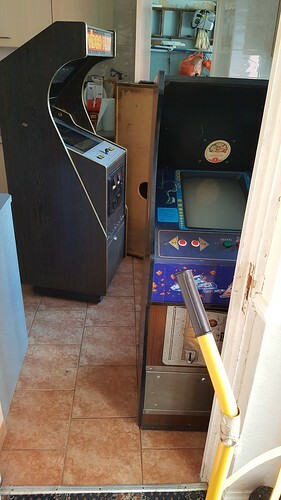 The games room became a restaurant and the arcade games disappeared forever. I recently contacted the pub, enquiring about the whereabouts of the old machines. I knew it was a longshot, and a couple of days later I got a reply. 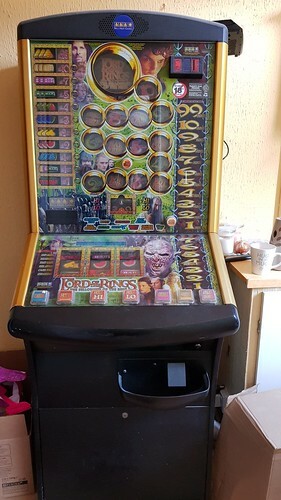 “I’m afraid I am unable to advise what happened to those gaming machines as they would have belonged to the tenant at the time of The Fisherman’s Inn.” I was grateful to receive a reply, even though it was pretty much what I’d expected. It was worth a try I thought. It turns out that the Mum had moved in to a former Bed and Breakfast around ten years ago, and the machines had sat there in the basement all this time. So begins my next Raid! 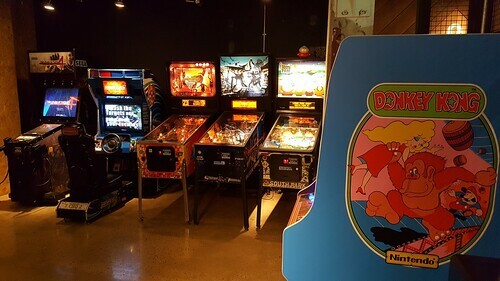 The machines were located in the basement, which was formerly a bar / games room. The cabs were a bit grubby and it was obvious they had sat there a long time. But under the grime they appear to be in really nice condition and should clean up really well. It’s great they’ve been in doors all this time in nice dry conditions. I haven’t seen one quite like this before. It’s a nice narrow cab, making it great for home use, and I really like the gold T-moulding. 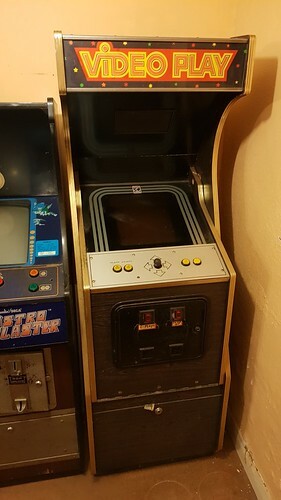 Inside the cab is a nice clean Bomb Jack pcb, the perfect game for the cab! The Raid highlight for me! I absolutely love this little cab. Other than some light surface rust on the coin door, the cab looks great. 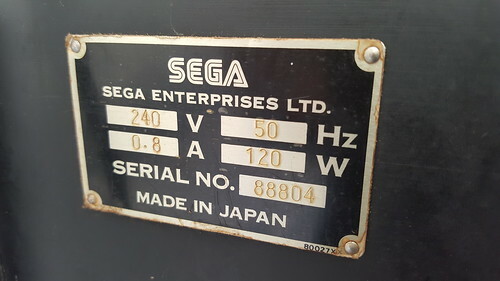 The nameplate on the back. Is that a rare manufacturers sticker on the hood? Erm, no. 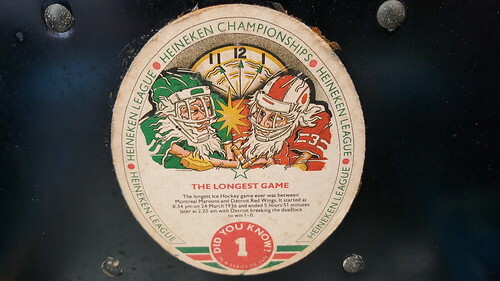 It’s a 80’s Heineken beer mat! I’m tempted to leave this in place. 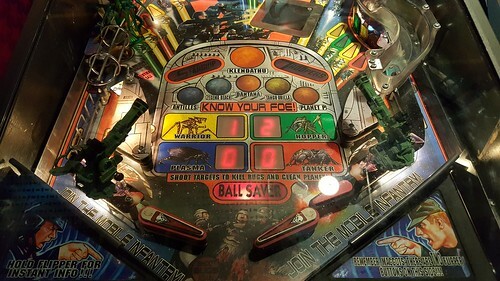 I had toyed with the idea of getting a pinball table in the past, but lack of space and expense ha put me off. However this was just too good to pass up! I had watched a couple of YouTube videos beforehand with transportation tips, so had some idea of what to expect. 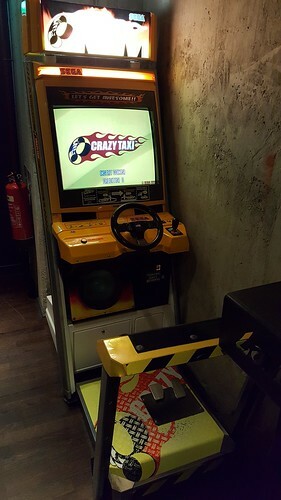 It was by far the trickiest machine to get out of the building. In fact the other machines were a walk in the park by comparison! I had to label all the wires and disconnect the backbox to get it through narrow doors, manoeuvre the machine round a tight twisty corridor and then take it up some stairs. 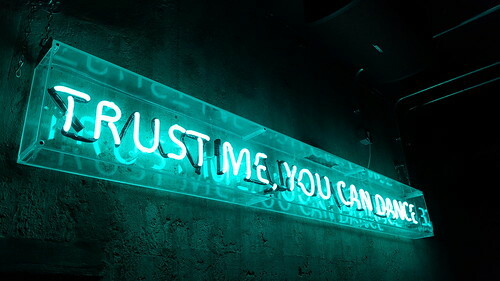 I really like the look of this one, it almost has an OutRun vibe. 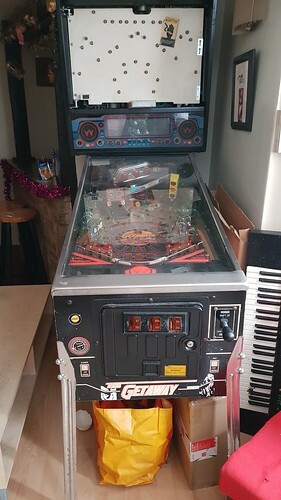 This was bought as part of the deal and I will be selling it on. Cabs out of the basement and on the ground floor. The machines on the van locked and loaded! 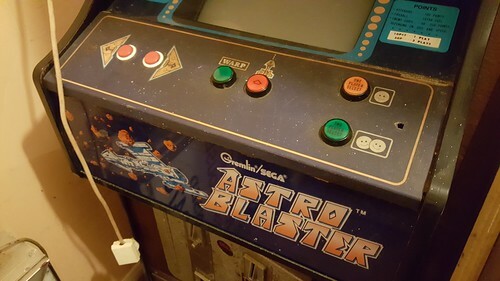 Great Yarmouth arcades were amazing back in the day, and have played host to an awesome selection of titles over the years. 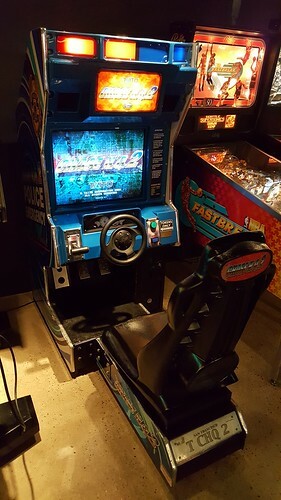 I remember playing games I haven’t seen anywhere else, including Chase H.Q. 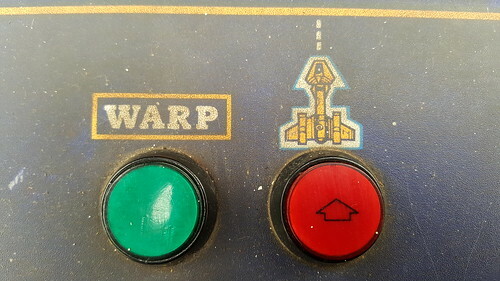 DLX – the motion based one where you sit in a black Porsche, and Star Wars Arcade – the Sega Model 1 powered game. 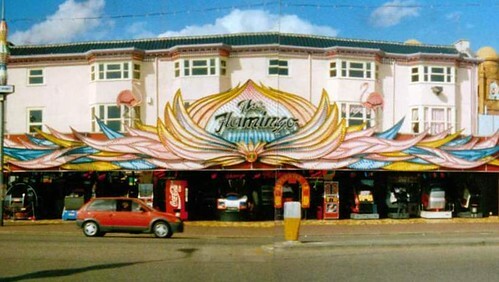 Here is a pic of the Flamingo front taken in the late eighties. 3. I’m unsure about the machine just left of the Coka-Cola vending machine. 5. 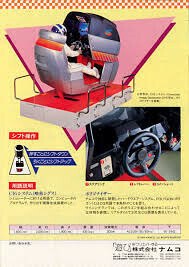 Super Hang-On DLX (just above the traffic bollard), Sega AM2, 1987. Look closely and you can see someone sitting on the bike. 6. Another one I’m unsure about. Positioned between SHO and OutRun DLX, it looks like a test your strength or love meter type game? 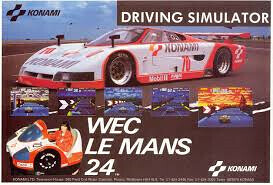 Remember this was just one arcade along the Golden Mile, and wasn’t even the best! The pink neon sign is still there, but sadly it’s now all fruit machines and ticket redemption. 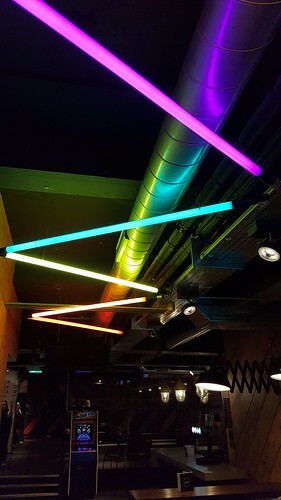 I was recently working in Middlesbrough and took the opportunity to checkout Lane7, an awesome new bowling alley which also features an arcade and bar. 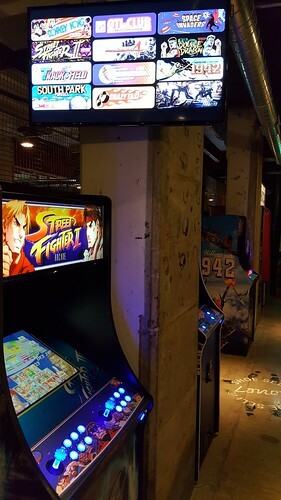 It’s always great to see a new arcade opening. 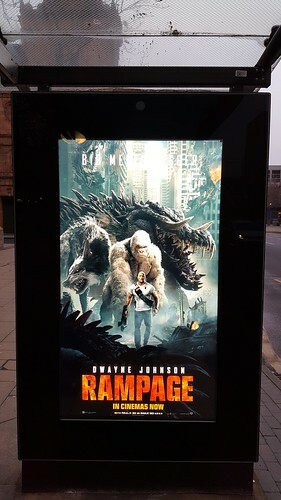 I passed this cool ad whilst walking into town. 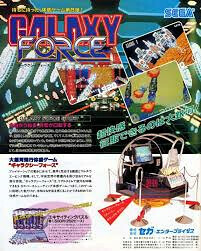 I remember seeing the game back in the day, probably down Great Yarmouth seafront, but my memory is extremely fuzzy. I would love to know if it was a US cab or an Electrocoin cab made under license. I’m looking forward to watching this, and I can’t wait to see George the gorilla, Ralph the wolf and Lizzie the crocodile Rampage! 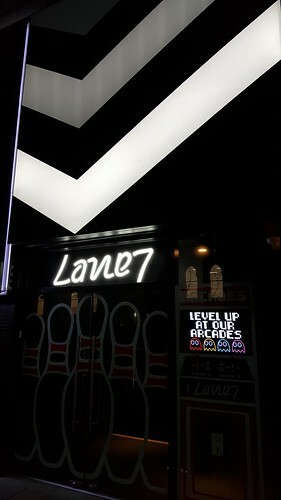 Lane7 opened in December 2017 and is located inside Centre North East on Albert Road. 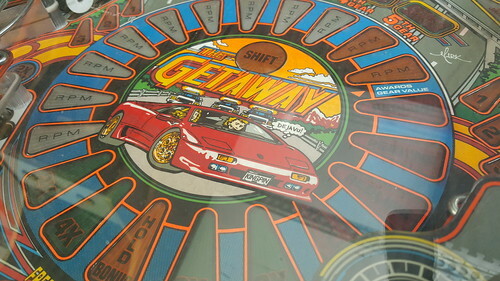 The arcade has a nice selection of classics, more modern games and pinball tables. Tokens are purchased from the bar. 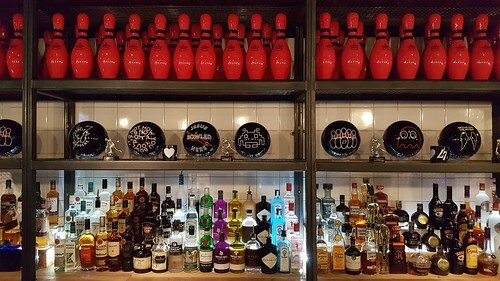 The Space Invader and Pac-Man Ghost bowling balls behind the bar are very cool! 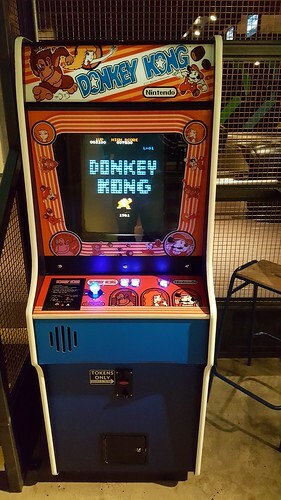 The arcade classics include 1942, Donkey Kong, Double Dragon, Space Invaders, Street Fighter II’ and Track & Field. 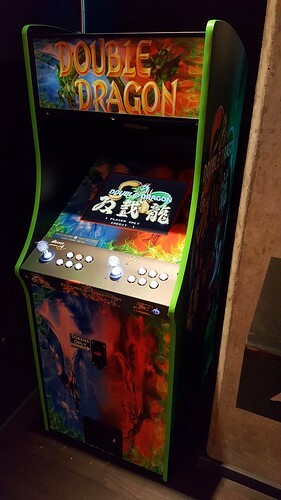 These are scratch built repro cabs, with LCD screens and running emulation. 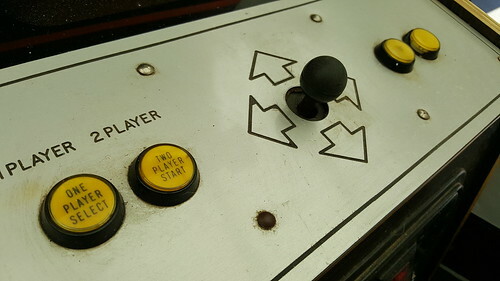 Arcade purists may bemoan the use of non-original hardware. 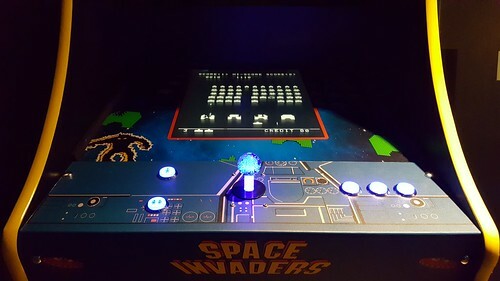 Whilst these repro cabs don’t offer an authentic gaming experience, they were being enjoyed by people hankering for some classic arcade gaming. 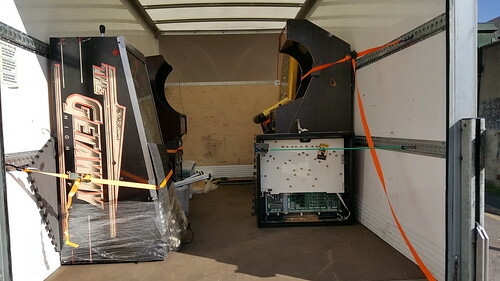 These cabs are perhaps understandable given the difficulty in keeping old arcade hardware and CRT’s running, and I’d much prefer to see these than original machines which have been butchered. 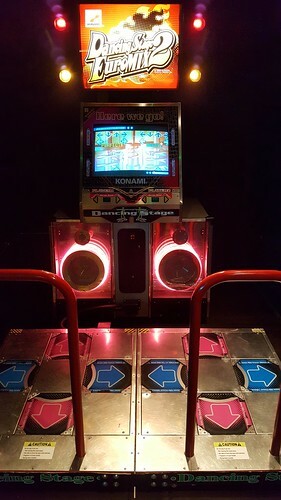 The venue also has Chase H.Q.2, Crazy Taxi, Dancing Stage EuroMix 2 and The House of the Dead 4. 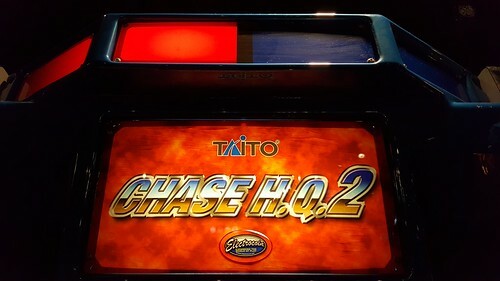 It was great to see Chase H.Q.2. The game had a fairly limited release back in 2007 and you don’t see many about. I also had a couple of credits on The House of the Dead 4, in preparation for Scarlet Dawn, and the awesome Crazy Taxi. 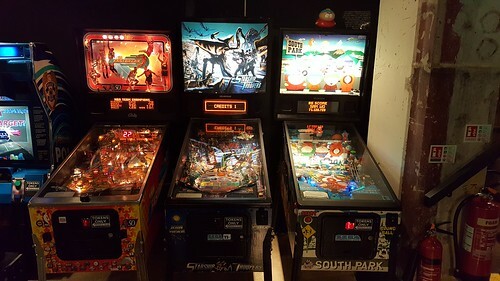 The pinball tables are a cool addition. 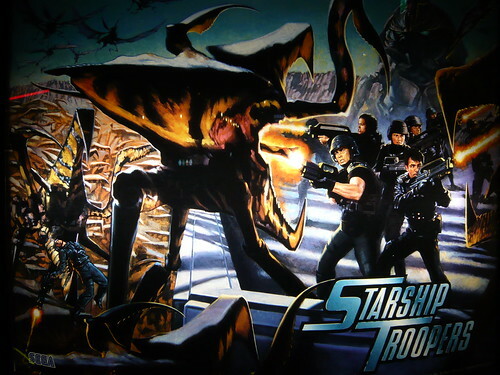 I enjoyed a couple of games on Starship Troopers. I had a great time at Lane7. 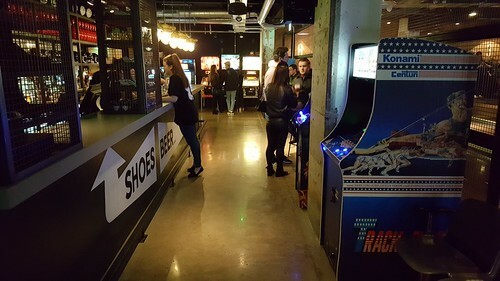 There are also Lane7 venues in Newcastle and Aberdeen, although the bar attendant did mention that the Middlesbrough site currently has the biggest selection of arcade machines.